The Mythic 200 is an ultralight down sleeping bag that has the best weight to warmth ration in Rab's range. It's designed for people that want to move fast and light through the mountains, suited for use in warmer conditions, long multi-day climbs and multi-day treks, where lightweight and a small packing size are essential. 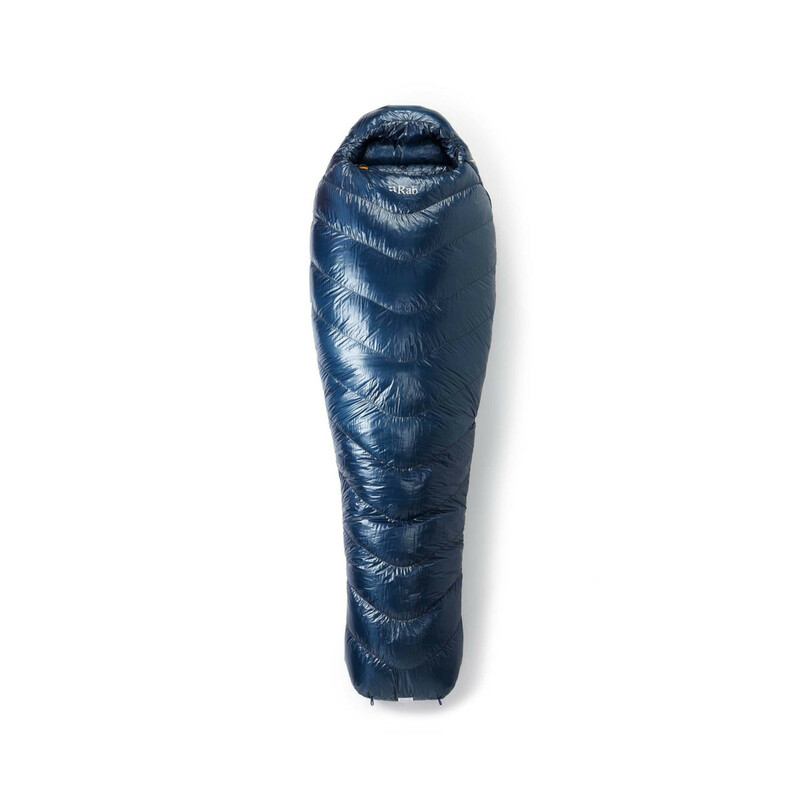 The Mythic 200 only weighs 475g and contains 200g of the highest fill power ethically sourced European Goose Down, providing you with an exceptional warmth to weight ratio. A tapered mummy shape with an angled foot box gives you a generous comfortable fit. The weight saving baffle construction prevents downshift, while the main chambers are angled down in chevrons which keeps the down over the centre of your body keeping you warm throughout the night. The Mythic 200 is hand filled with Hydrophobic down which has been developed in conjunction with NikwaxÂ®. It comes with a drybag compression stuff sack which protects the Mythic from the elements and gives you a smaller pack size whilst you're on the move.